May 23, 2017 Real EstateBy DEANknows! It wasn’t all that long ago that Real Estate Listings weren’t available online—at least not as abundantly as they are today. In the beginning, large, forward-thinking brokers invested tons of money in websites and technology and figured out how to put their own real-estate listings online. 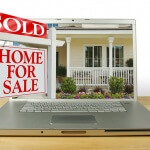 If anyone happened to be connected to the Internet at that time, rules on displaying real-estate listings on the web were few, and very few people were doing it. The web was in its infancy, and the building of websites and having the technical savvy to display listings were expensive. 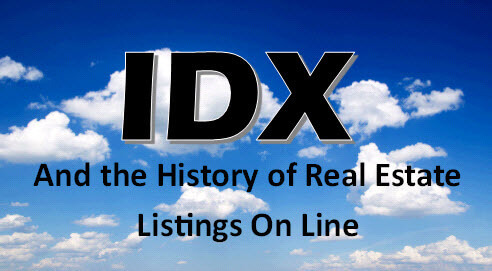 Today, we have IDX (Internet Data Exchange), and the general rules are written by the National Association of REALTORS (NAR) and passed down to the local NAR-sponsored REALTOR boards and Multiple Listing Services (MLS) so they can fine tune for their local markets. This entire idea came from the fact that MLSs coordinate cooperation and guarantee a commission from broker to broker. That means if one broker brings a buyer for another brokers listing and it’s listed in the MLS, the broker who brought the buyer would be compensated at the rate disclosed in the MLS. That said, IDX is a pool. If a broker participates in the MLS, then they have the opportunity of opting into IDX. That means they give permission for other brokers to display their listings on their websites—still held by the guarantee of cooperation. With little exception, brokers must have all their listings in the IDX pool or none at all. Almost 100% of brokers participate in the IDX pool. The MLS keeps the database of all participating brokers listings and gives (actually, there usually is a small fee) the participating brokers an IDX feed to access those listings. To display other brokers’ listings, they must follow a pretty rigid set of rules, including what property types and fields they can display, how often they must update their site, and certain disclosures. DEAN Knows specializes in IDX and VOW Implementation and Compliance. 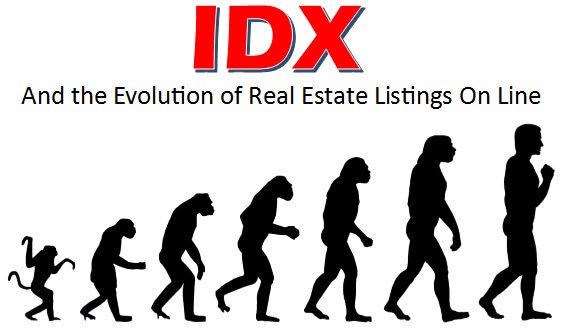 As technology evolved, more brokers had websites and were technically savvy enough to get that raw data feed of real-estate listings (an IDX feed) and to properly display them on the Internet. Then came the Third-Party Aggregators. These sites were not owned, operated, or controlled by brokers but by technically proficient companies that felt they could do a better job of displaying listings online and converting that traffic into leads. These companies were mostly not real-estate brokers and did not need to meet all of the state real-estate laws on advertising or the IDX rules. All they needed were the listings. They quickly realized that the MLSs had all of the listings and were not willing to turn that data over. Although many did give a multitude of web companies direct feeds, the response was that most brokers who invested all that money in their own websites barked—and barked loudly. The Third-Party Aggregators then found that they could simply ask the broker or the agent to upload their listings—and low and behold, they did. They offered to get more “eyeballs” on broker/agent listings, thus giving them a better chance of selling. Third-Party Aggregators popped up left and right, all touting a different business model. Before long, they had more places to put listings on the Internet than there were listings. The challenges, they quickly found out, were listings had very little consistency. They didn’t have that all-important IDX data feed. They don’t get every listing, and when a property goes under contract, many real-estate agents don’t take the time to remove it from the site, which caused the sites to display listings that were no longer available. What came to be the most popular method, but by no means the only method, was letting each individual real-estate broker send their own listings to the Aggregators. This move gave the broker some control and some level of consistency, as the broker technically owns the listings of all of their agents. Syndicators vary all over the spectrum. What a syndicator does is get listings from different sources and feed the Third-Party Aggregators. Such companies as ListHub and Point2 appeared and began to offer their services to the agent, the broker or the MLS and let them choose an Aggregator to whom they wanted to send their listings to. Others just blasted the listings everywhere and did a poor job of keeping them updated. The most popular had lists of hundreds or thousands of destination sites for display, and anyone could simply check a box and the listings would be sent there. As many small brokers didn’t have the technical resources to do this for themselves, syndicators become popular. This, the entire process was simplified and allowed many of the smaller brokers to begin placing their listings on the Internet. Many of the traditional real-estate marketing companies also got into the game. With traditional advertising feeling the pain of the Internet advertisers’ successes, they increased their value proposition by now shooting listings to the Aggregators—if you ran an ad in their periodical. Over the years, many new models popped up for marketing real-estate listings online as a Third-Party Aggregator. Most failed, some had mediocre success, and some just sold out. Recently, we’ve seen it narrowed down to the Big 3: REALTOR.com, Zillow, and Trulia. Even more recently, Zillow made plans to purchase Trulia, and Move INC. (the operator of REALTOR.com) looks to be bought by News Corp. It is worth mentioning that REALTOR.com gets almost every listing from almost every MLS because of their affiliation with NAR. Zillow and Trulia found success even without having all the listings. They leveraged other technology tools and raw marketing to overcome their lack of true listing inventory. There’s a lot to be written on just this . . . more is to come. I felt compelled to make sure that this topic was not overlooked. Most local real-estate broker (and sometimes agent) websites still get a full IDX data feed and display almost every single listing that is available for sale through the local MLS. That means you will usually have substantially MORE listings to view on local real-estate brokers’ websites. The real challenge is that many of these sites have a lack of tools, functionality, and usability. Even with ALL the listings, many have trouble getting traffic simply because the big Aggregators are more polished and have many more features. The large Aggregators are publicly traded and have endless amounts of money to spend on advertising to tell you they are the place to go to look for homes. 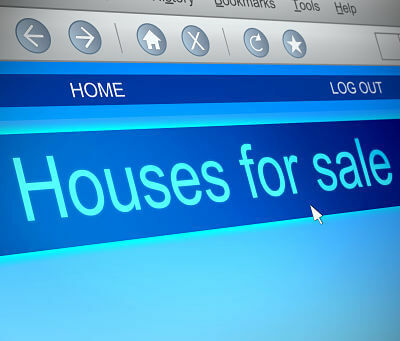 Where you go to search for real-estate listings online is up to you. As I was writing this, I felt compelled to go into more detail and give many more examples, exceptions, and business models. But I left quite a bit out. This short article was intended to give some insight on how the system works and the history behind it. I choose to leave out the history of REALTOR.com; RETS and different models like HomeGain, Redfin, and Movoto; MLSs getting in the game; Google getting in, getting out, and back in the game; and ListHub being purchased by Move INC., as well as what large real-estate franchises have done and a lot more. I personally have some strong ideas on how this SHOULD work, who is right and who is wrong, and what the future holds. I have chosen to leave all of that information out also. Luckily, I can write as many blog posts as I want! Be scared . . . be very scared. If you have a specific question or comment, please be sure to leave it below and I will do my best to answer. If you are looking into a website that will display IDX or VOW data, DEAN Knows has years of experience with compliance, implementation and SEO for IDX and VOW sites. See how DEAN Knows can assist with online listings on your site today! This is the second great article I have read on this site. I felt like I was traveling through time since 2003. Heck I can still remember when I got my first datafeed and started displaying real estate listings. I had my real estate board actually thinking I was doing something against the rules because they had never seen anything like that before! I found the Google comment hilarious. They did pretty much get in, get out, get back in, then get out for good didn’t they!? So after two reads, I can certainly tell you know what you’re talking about. So let’s here it. What is your vision of where this is going to end up in the next 5 years? Pingback: Why Doesn't My Real Estate Website Rank on Google? Pingback: SEO For Real Estate - What Does it Take to Rank a Real Estate Website?